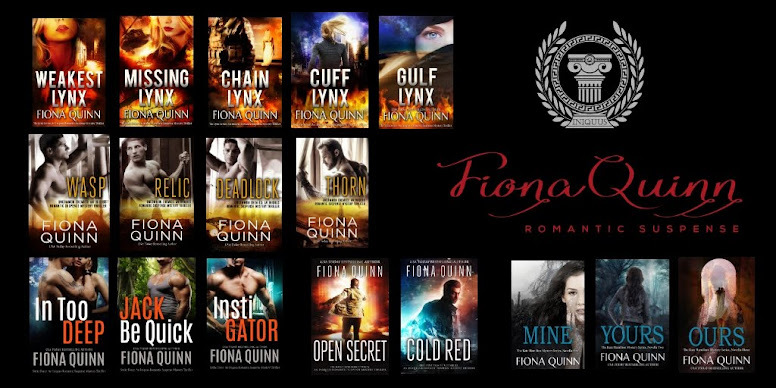 USA Today Bestselling Author, Fiona Quinn: Helping Writers Write It Right and Readers Gain Insight. The tickle of curiosity. The gasp of discovery. Fingers running across the keyboard. Rosemary introduce us briefly to your writing, and your background. I'm with the Shadow Files, in the boxed series I'm introducing my new series that's releasing this year REBEL ANGELS. I have a mage, a rebel angel, and a witch. It's an epic war between the vampires and the angels. In VAMPIRE MAGIC (in the box set), a mage resurrects angels, and the two rebels are the anti-heroes. I studied history at Oxford and as a vampire writer this has been great: I get to write about different time periods and Elizabethan or Victorian vampires. I also acted, directed and ran a theater company: this has had a big impact on how a write. I love dialogue, narrators, and emotions being at the heart of a book. Let's talk about how theater is a wonderful place to grow your writing skills. Let's start with your love of dialogue. What did you learn through theater that helps create your dialogue? Theatre is all about the dialogue. You only have one chance to catch that audience and hold them: on the edge of their seat! There's nothing like that buzz...or silence...when they're totally captivated. And you know when you're losing them too! It's immediate. And you learn a lot of tricks on how to do this - pacing, humour, contrast, dialect. I've worked both as a playwright and as an actor, and it helps to have seen it from all sides too! What techniques have you used to captivate your reading audience? What did you find in theater was compelling. There are three central ones when I'm asked this (although of course there are many!). Propulsion, motivation, and immersion. Propulsion is what all great plays and screen plays should have: it's that driving sense that every scene leads onto the next: that you're on one hell of a ride. Motivation is the key to acting. It's the gold to creating an anti-hero. In a book, it means making every character have a psychological motivation for their action, and so you're compelled by their journey. Immersion is what my books are most often described as. This is the sense that you're living through the same adventure as the characters. So, when my vampire, Light, is enslaved or obsessing over his love, so are you. Being able to create that experience is partly from being in the minds of the characters, and that comes from playing characters in the theater. Let's talk about motivation - Constantine Stanislavsky developed method acting, and there was an underlying reason for everything. As an actor, that is not revealed to the audience because the words they speak were written by the playwright, but they do inform action/reaction. Can you talk about how you apply motivation in your writing? Do you explain the thought processes? Do you layer in specific beats? Motivation is emotion and the psychology of the character: it's how you, as the author, will make the reader/audience identify with the character. I love to play with that, it's why I write anti-heroes! I'd always find myself in plays watching the bad guy and wondering why I was drawn to their reactions and not the standard hero? Then I read Anne Rice as a teenager and wondered why Lestat was so charismatic? It's because Anne Rice is writing someone who knows they're a monster but wants to be something more: she's pulling off the trick of creating sympathy for the monster. Shakespeare is amazing at making the villains the most interesting characters because he always makes their motivations clear. So, yes, I know how I'm going to present my characters to a reader and when I'm going to show their motivation and in what light because it's the MOST important thing. A reader will fall in love with a character and be pulled along on their journey if you do it right. There's a theater term called "blocking." It's how you set the characters into the space. Do you physically walk through your blocking in a scene? What techniques do you use? Blocking was always a major thing for me when I wrote and directed. Also, how you physically place people in a scene because this has as much power as the words. For example, are their backs turned to each other, or has one got more power because they're standing and the other one is sitting? Power plays and dynamics are really important in what I write. But in my books, I don't physically act it out because I see what's happening like a film in my head. I've always had this: I heard Tarantino is the same. It's almost like I'm writing down a film! You mentioned contrast. How can a writer best use contrast in developing a scene and what should readers be looking for? I love contrast - I think this is really underused! Contrast can be as small as structure of sentences and types of character in scene (although that alone has a big impact), or it can be the big stuff, like the setting and mood. My favourite is something that I've again taken from plays (as well as the best TV shows), the contrast between humour and drama within a scene. In REBEL VAMPIRES this is one of the things reviewers write about: the contrast between dark/light, comedy/drama. The best way in a play to make something sad, is to contrast it by having a joyous moment just before...It's the same in books: extremes and not to be afraid to have dark humour. Here at Thrillwriting, it is a tradition to ask you to tell us a story. Perhaps the one behind your favorite scar or maybe a harrowing story you survived. Would you indulge us? 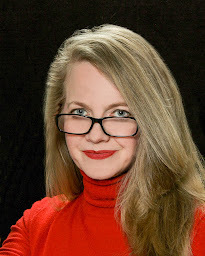 My spark of inspiration for the REBEL VAMPIRES series is a personal story. My son is autistic, and he's also a savant. He remembers everything he sees. I wanted to write a series where the lead character was a savant vampire and this was his talent. He also remembers everything he sees, although for a vampire living over the centuries and remembering all the horrors and wonders, he doesn't know whether it's a blessing or a curse. I've been Vice Chair of an Autism Charity, and this book is dedicated to my son who was the inspiration. So, times can be tough, but good things can come from them too. What is it that you wished I had asked, but I didn't know enough to ask it? Only that I was always drawn to rebels and anti-heroes but the one genre not represented in theatre is urban fantasy or the paranormal! So, as I wanted to write vampires, angels, and epic battles, I made the move to books and love it! Fiona - Thank you for supporting Rosemary and me by reading our books! You help to keep this blog running through your purchases. Never miss an article. Get THRILLWRITING by e-mail! All articles on this blog were written to help writers develop fictitious situations for fictitious characters. Any real world applications are made at the person's own risk.